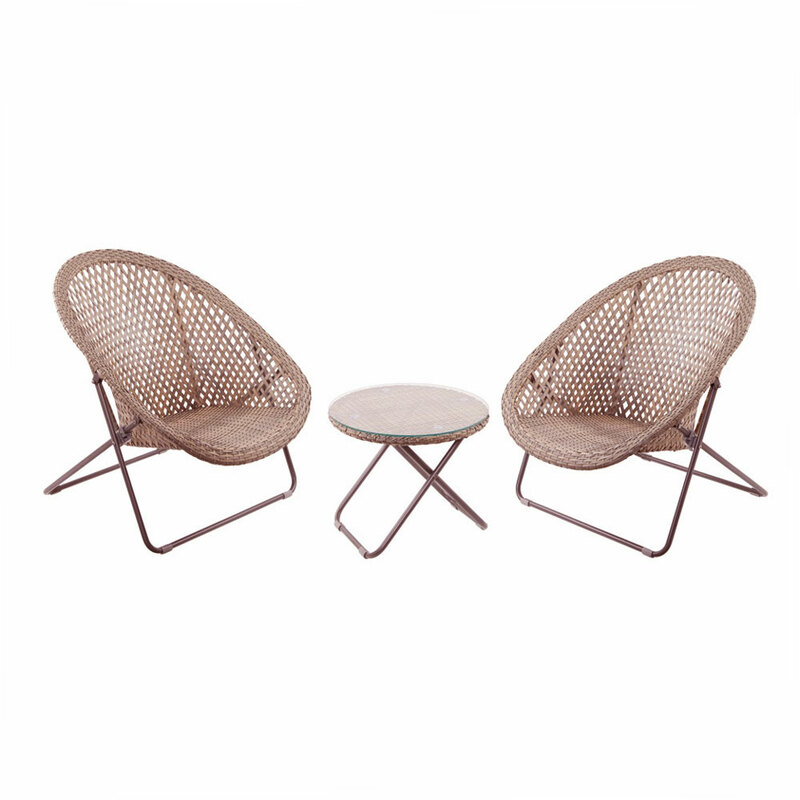 TOBS Faux Rattan Folding Chair Lounge Set offers a delightful garden seating set perfect for the patio, conservatory or terraced area. Comprising two folding comfort chairs plus a glass top table. Nordic inspired design, easy up easy down garden seating set easily folds for minimal storage out of season. Weather resistant faux rattan built on metal frame, supplied with matching glass-topped side table. Wide & comfortable folding chairs click into a locked position for reliable stability. Easy wipe clean glass top table. No construction required.